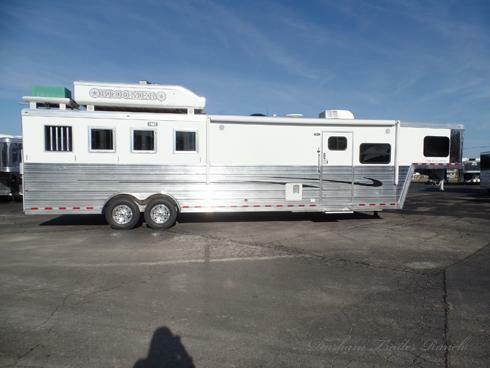 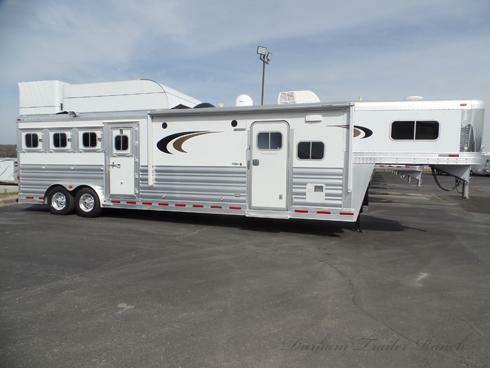 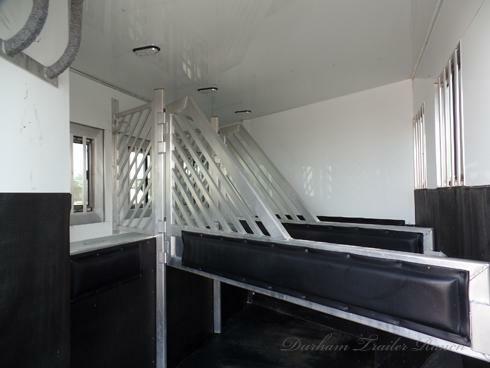 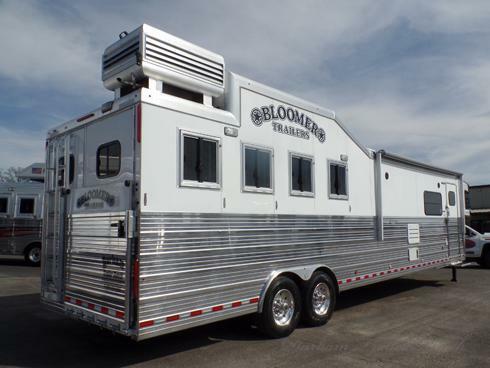 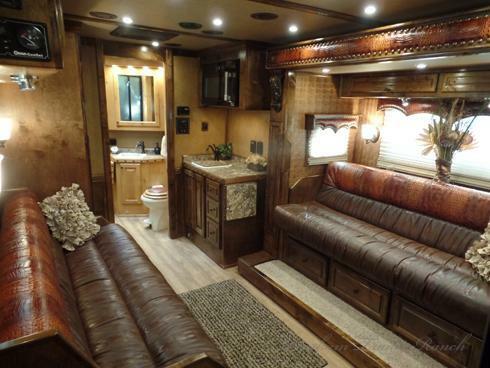 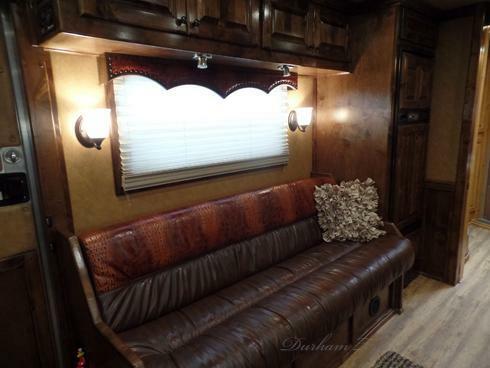 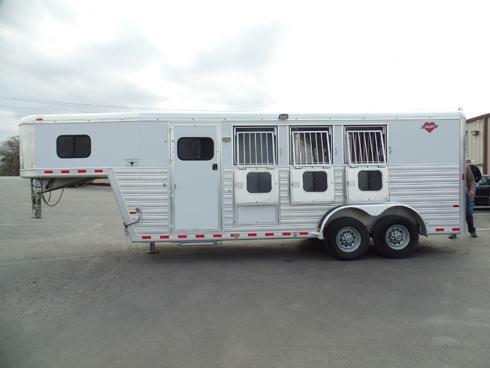 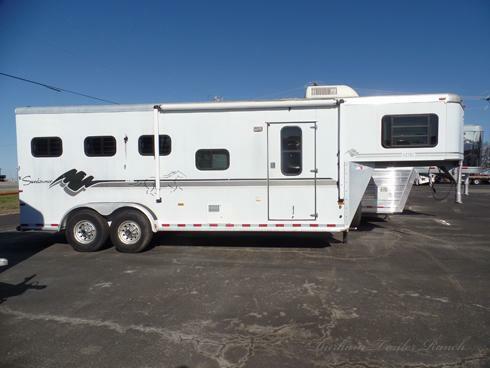 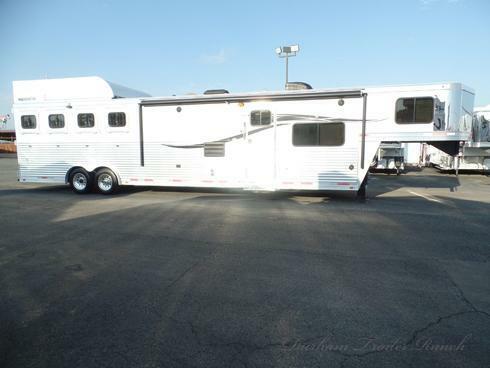 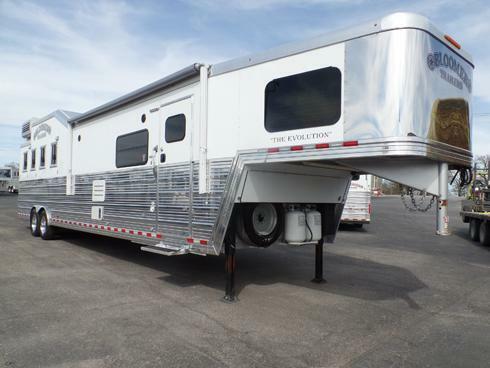 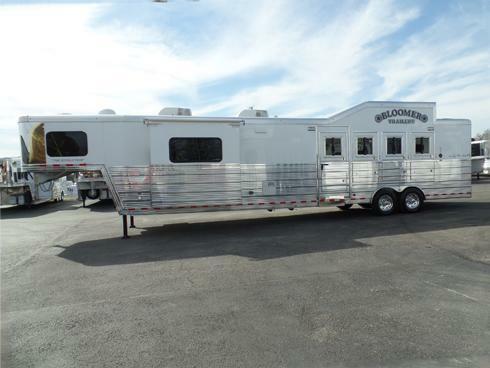 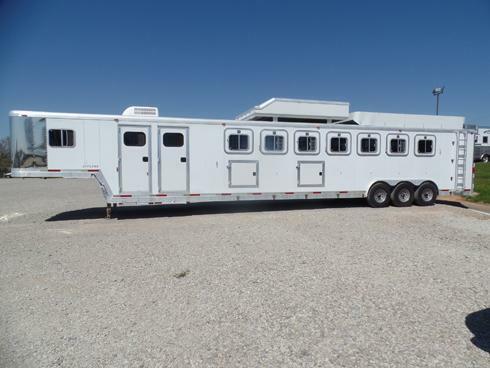 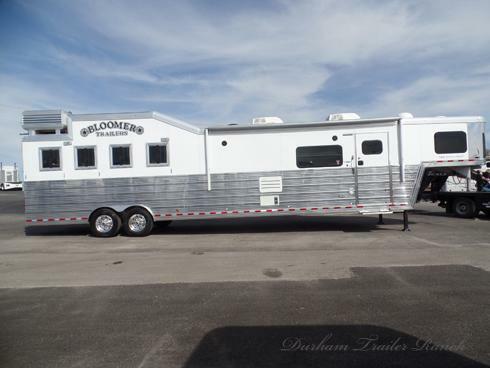 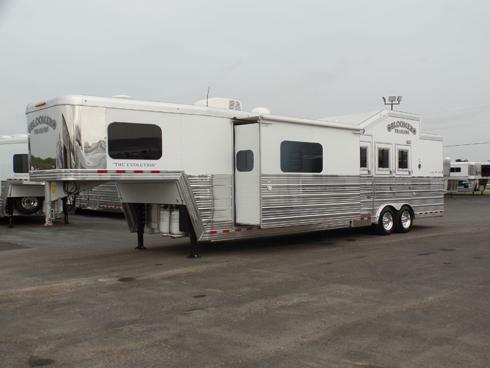 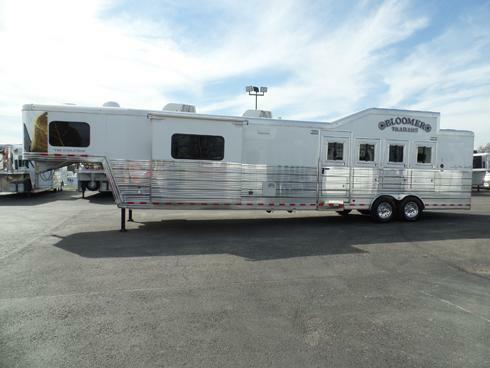 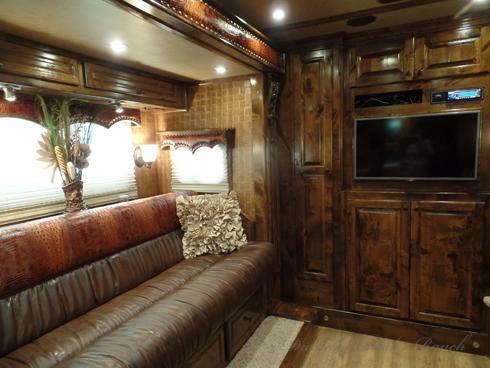 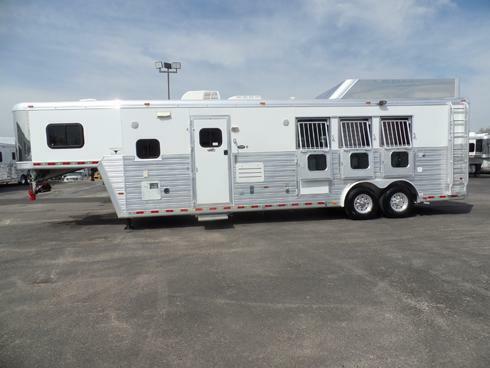 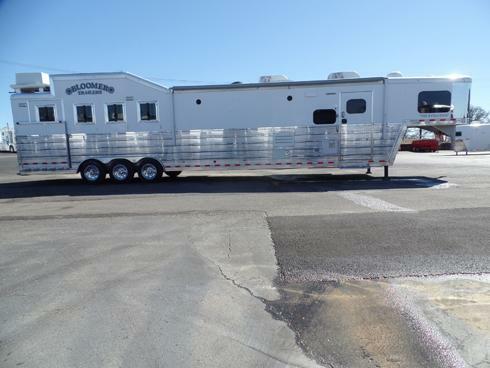 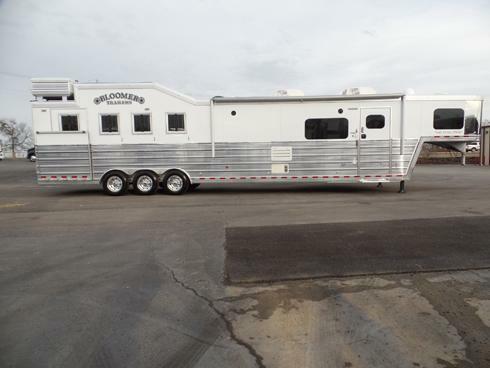 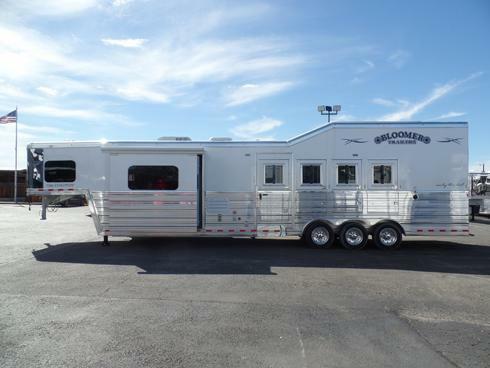 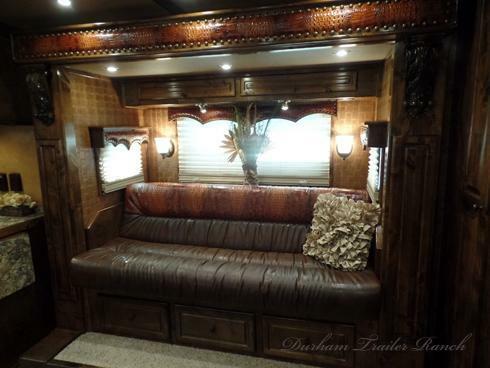 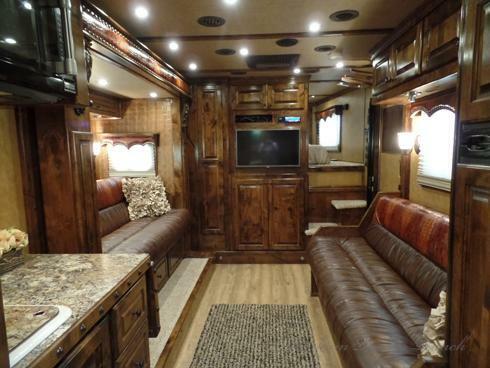 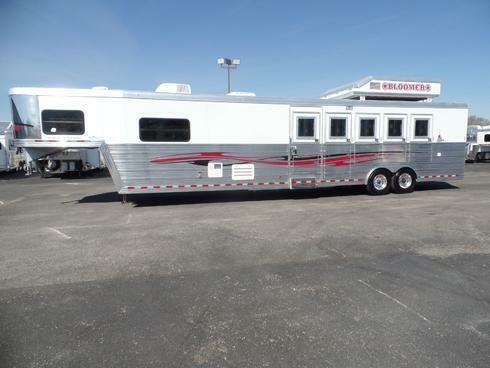 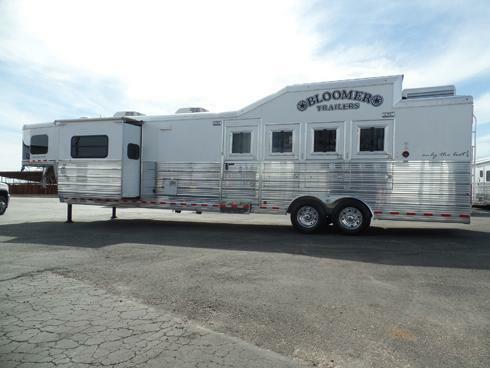 2015 Bloomer Converted 3 Horse with Mid-Tack Conventional Load with a 16.5' Short Wall. 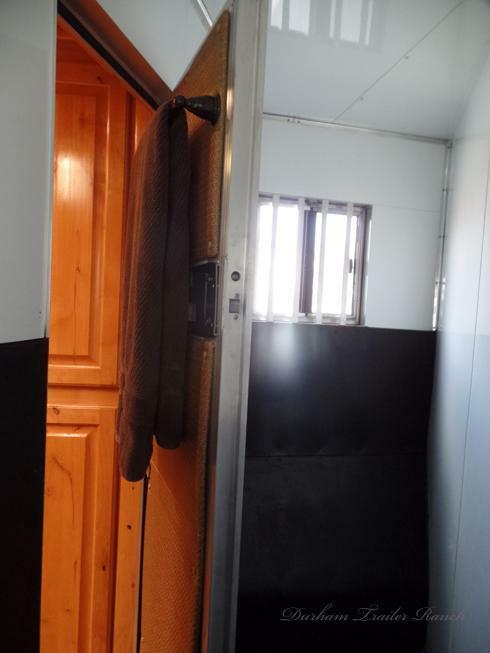 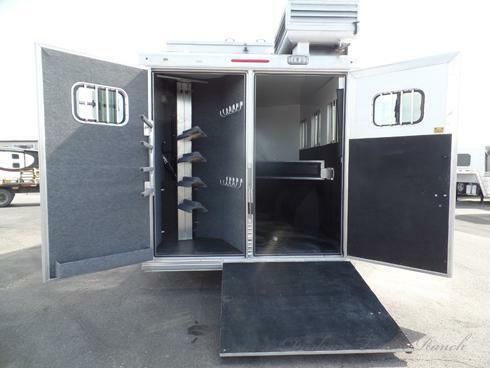 Bulk Head Door to Living Quarters from Mid-Tack, Escape Door with Manger Access that Can Be Removed-Divider Still Inside of Wall. 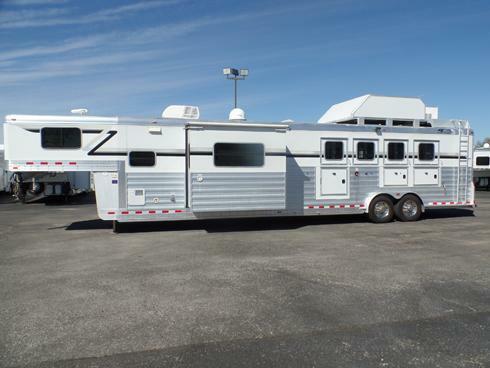 Onan 7K Generator, 8' Integrated Hay Pod, and 17' Electric Awning. 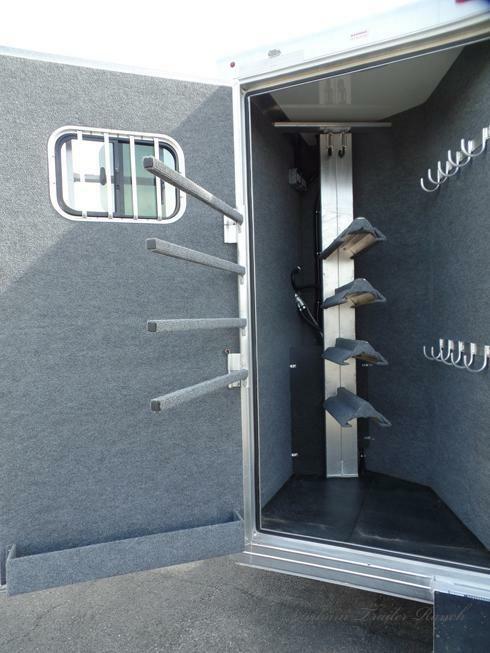 50/50 Rear Tack with a 4 Tier Saddle Rack, 4 Blanket Bars, Brush Tray, and 10 Bridle Hooks. 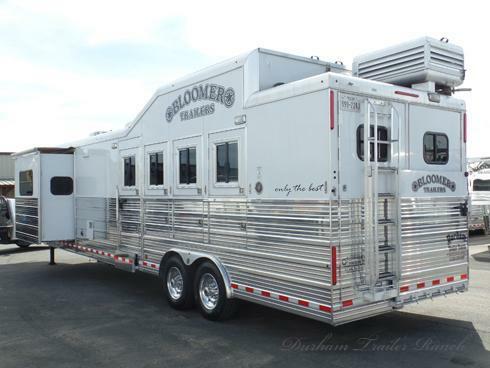 Â¾ Rear Ramp, Mangers, Drop Windows on Head and Hip Sides, Flow-Through Face and Wither Shields, Slopped Fenders, and 3 Dome Lights. 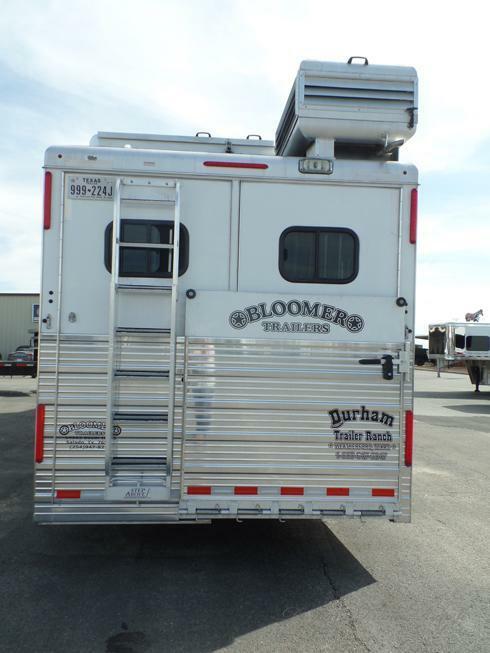 Step-Above Ladder, 17.5" Alcoa Aluminum Wheels, Dual Hydraulic Jacks, and Dual 30# Propane. 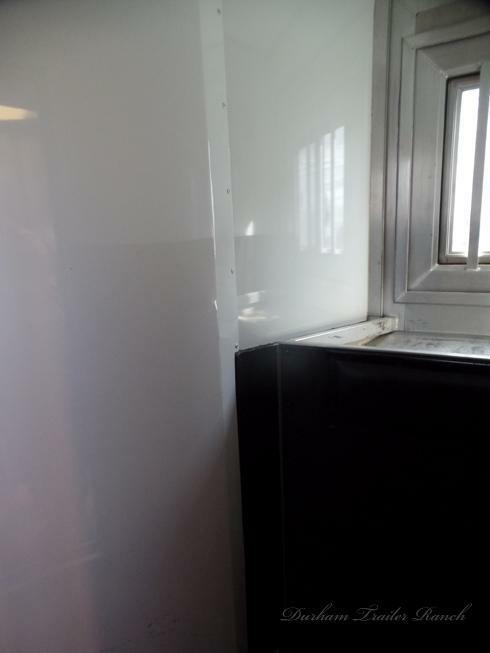 7.5' Tall, 8' Wide. 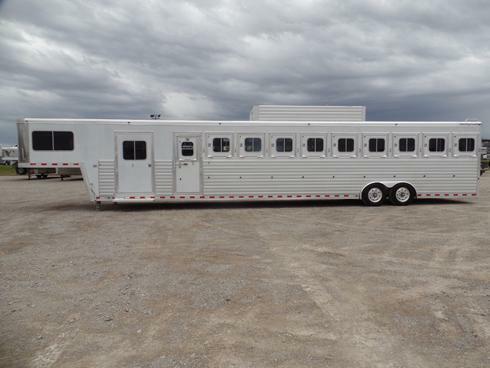 Outlaw Conversion with a 16.5' Short Wall and 7' Slide. 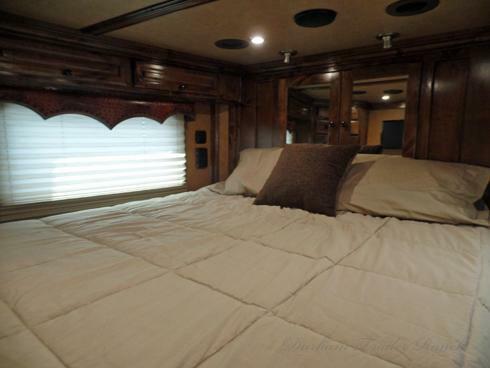 74" and 72" Sofa Sleepers with Queen Mattress in Nose. 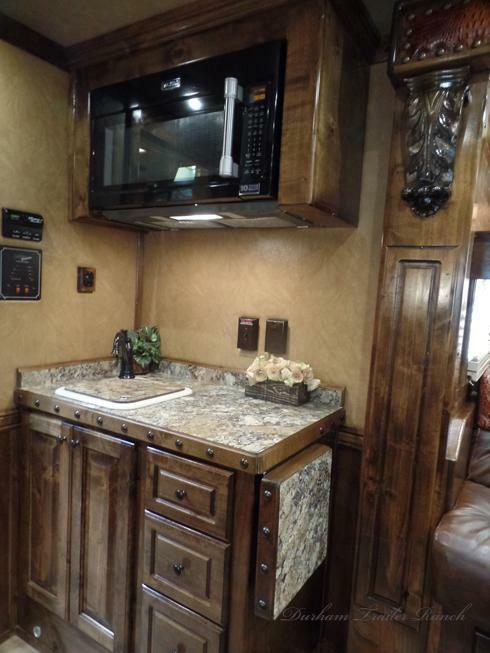 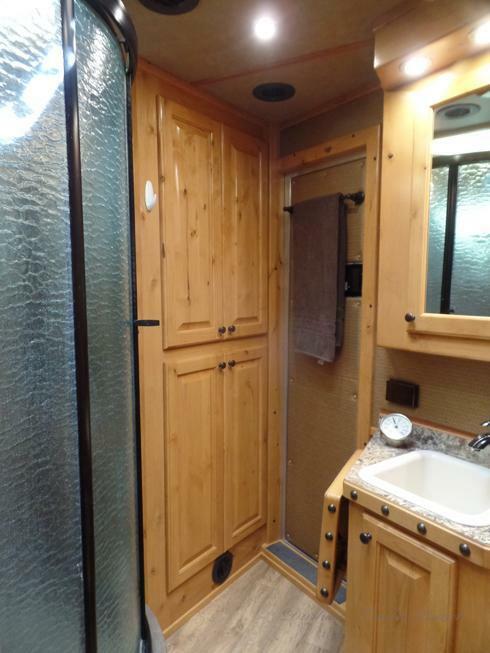 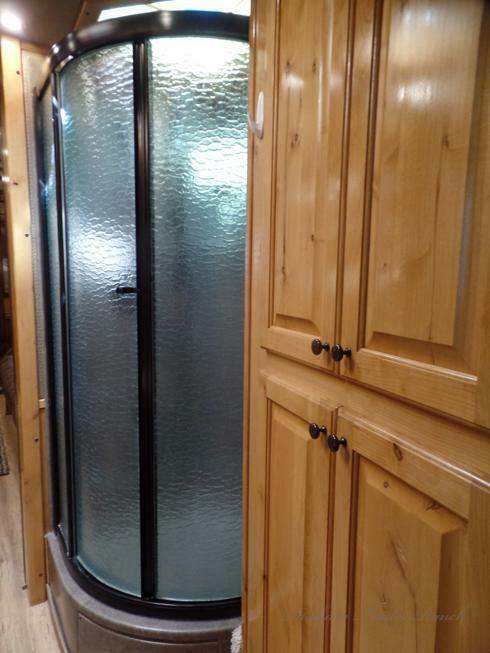 Kitchen Sink, Microwave/Convection Oven, Dark Hardwood Cabinetry. 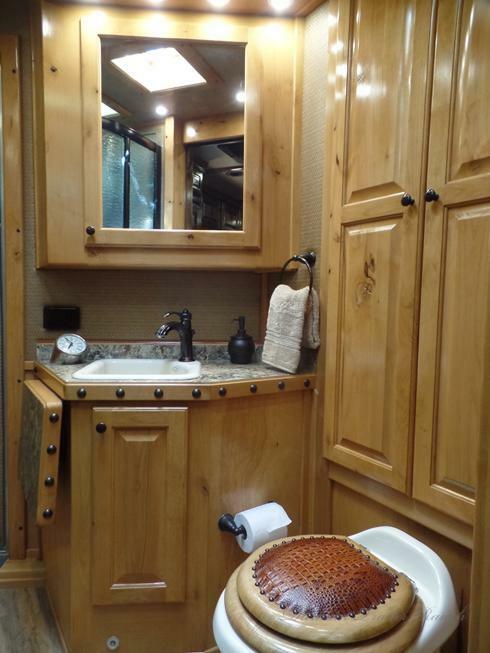 Radius Shower, Bathroom Vanity with Porcelain Sink, and Porcelain Commode. 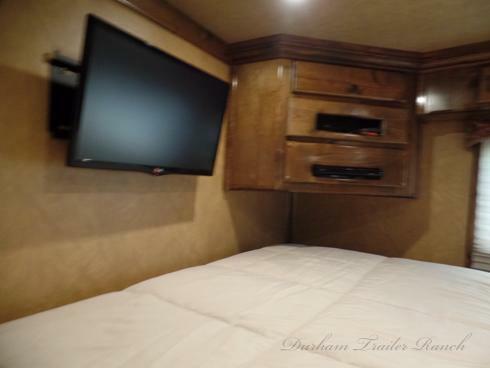 Upgraded Walls, 2 TVs, DVDs, Stereo, and Satellite.